The custom of wassailing dates back to pagan times but has enjoyed a resurgence in recent years as cider has gained popularity among drinkers. 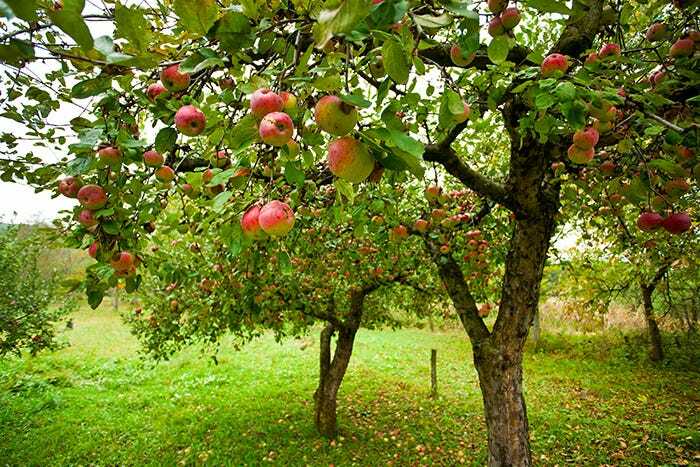 It entails celebrating good heath to the fruit trees and an encouragement to fruit well, usually taking place on 17th of January (old twelfth night). Not all wassails are the same but there is a loose "order of service" that tends to be followed. A wassail queen (or king) leads a parade to a tree, often the oldest in the orchard. When she gets there, she dips a piece of toast in some mulled cider which is lifted and placed in the boughs of the tree to attract favourable spirits. More mulled cider is then poured round the base of the tree, and evil spirits are scared away with loud noises – sticks banged together, maybe even gunshots. Then the tree is serenaded by the crowd. Wassailing is still practised across the UK but is most prevalent in the West Country in places such as Pilton and Mudgley in Somerset.